Our PhD student Manuel Matos was awarded the Excellent Young Researcher certificate by the Antibodies Journal. 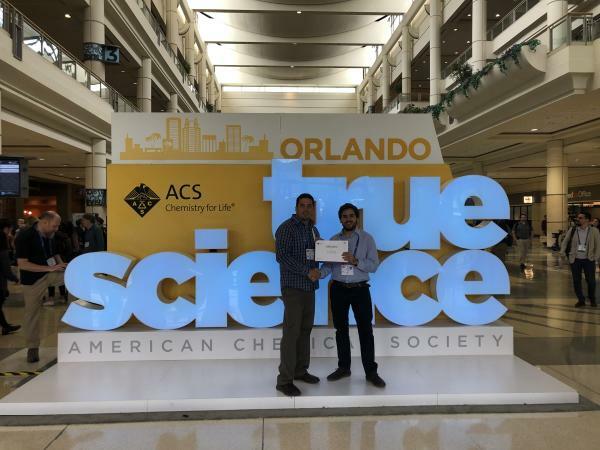 Manuel received the certificate during the attendance of the 257th American Chemical Society (ACS) National Meeting & Exposition: 'Chemistry for New Frontiers' in Orlando, USA where he presented a poster. The certificate was received in hand by Dr. Aaron Wecksler from Genentech. 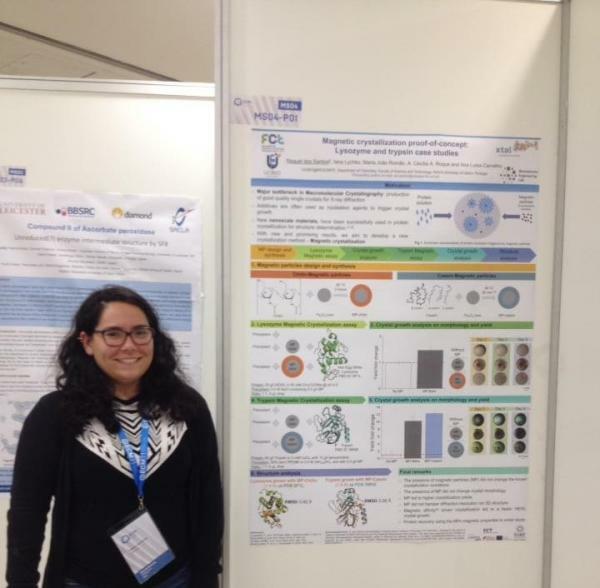 Raquel Santos was awarded the ECM31 Young Scientist Award to attend the ECM31 to present her work on the development of a new technique for protein crystallization at 31st European Crystallographic Meeting in Oviedo, Spain. 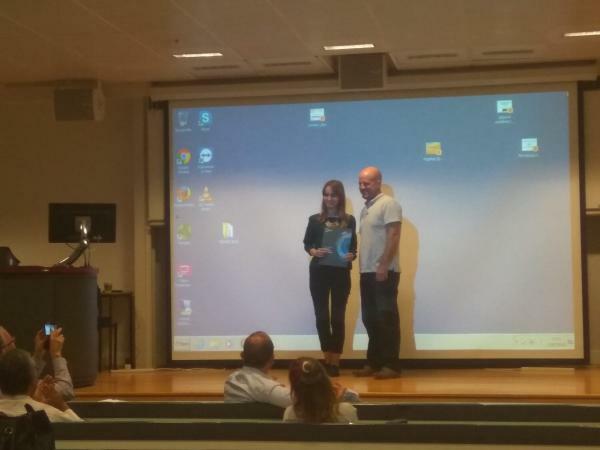 Claudia Fernandes won the Best Poster Prize at the PEPMAT2018 conference held in London 16-18th July 2018. Ana Pina was awarded a travel grant from the Royal Society of Chemistry to attend the PEPMAT2018 conference held in London 16-18th July 2018. Gonçalo Teixeira´s team and Manuel´s team secured the first and second positions, respectively! 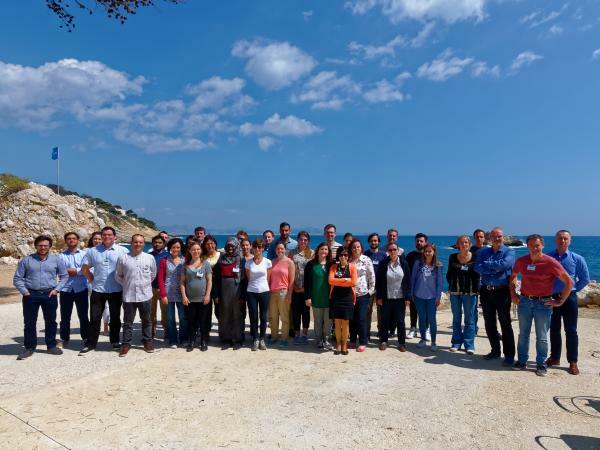 at PepperSchool 2018 held in Carry-le-Rouet, Marseille. 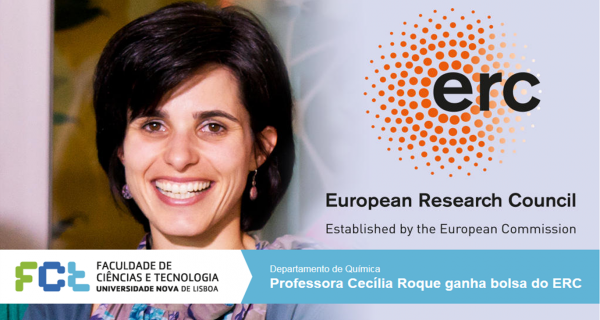 Prof. Cecília Roque was awarded with a Starting Grant from the ERC to fund the project " SCENT: Hybrid Gels for Rapid Microbial Detection". The research team will develop bioinspired nose sensors as a fast and needle-free method of microbial detection. See below the ERC Press Release and what the MEDIA are saying abaout this award. Click here to listen to an interview with Prof. Cecília Roque in Antena 1 radio, about this project (in Portuguese, only). Travel grant to Susana Palma for the attendance of the 10th International Conference on Scientific and Clinical Applications of Magnetic Carriers, held in Dresden (Germany), from 10th to 14th of June, 2014. Travel award to Ana Margarida Dias for the attendance of ESF-EMBO Symposium - "Molecular Perspectives on Protein-Protein Interactions" held in Pultusk (Poland) from the 25th to the 30th of May, 2013. 1. Travel award to Susana Palma for the attendance of the 9th International Conference on Scientific and Clinical Applications of Magnetic Carriers, held in Minneapolis (Minnesota, USA) from the 22nd to the 26th of May, 2012. 2. Travel award to Íris Batalha for the attendance of the HUPO 11th Annual World Congress, held in Boston, Massachusetts, between the 9th and 13th of September 2012. "First Honorable Mention", sponsored by Hovione, to Ana Cecília Roque, Ana Sofia Pina, Íris Batalha and Susana Palma. "Young Investigator Award", sponsored by Hoffman-La Roche, Pharmaceuticals Division (at Affinity 2011, the 19th biennal meeting of the Society for Molecular Recognition, Tavira, Portugal). Award "Programa Gulbenkian de Estímulo à Investigação" in the area of "New Materials in Chemistry", conferred by Fundação Calouste Gulbenkian, to the project entitled "Selective Immunoaffinity Devices: A New Alternative to Blood Treatment". Best poster presentation at ISPP 2010 Meeting, sponsored by DECHEMA (Bologna, 2010). Best poster presentation at ESBES 2010 Meeting, sponsored by Sandoz Biopharmaceuticals (Bologna 2010). "Prémio de Mérito Científico UNL-Santander Totta - Edição 2009/2010", in the area of "Sciences and Engineering", conferred by Universidade Nova de Lisboa and Banco Santander Totta to the project "Peptidomimetics on Magnetic Beads for Bioseparation Processes" in collaboration with Dr. Olga Iranzo (ITQB, UNL). "Young Investigator Award", sponsored by Hoffman-La Roche, Pharmaceuticals Division (at the 18th Biennal Meeting of the International Society for Molecular Recognition, Reykjavik, Iceland). Award "Programa Gulbenkian de Estímulo à Investigação", in the area of "Sustainable Chemistry", conferred by Fundação Calouste Gulbenkian to the project entitled "Miniaturised Combinatorial Libraries of Rationally Designed Ligands". Click here to listen to an interview with Prof. Ana Cecília Roque about this award.